According to international media, on Wednesday, May 16, Colombia seized almost 400 tons of food in poor condition in the port of Cartagena de Indias, which, as stated by the Fiscal and Customs Police operation, were to be distributed by the Local Supply and Production Committees, known as CLAP, in Venezuela. The Colombian president took the chance to address Maduro. 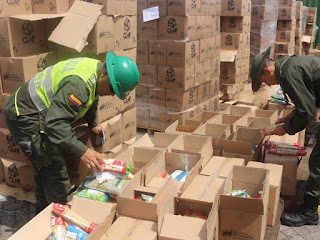 The more than 25,000 boxes with the CLAP logo (as seen in the images provided by the presidency of Colombia) contained products such as rice, sugar, flour and pasta and were infected by pests and therefore not suitable for human consumption. "15 containers were intervened in one of the export docks of the port of Cartagena," said General Juan Carlos Buitrago, director of the Fiscal and Customs Police. 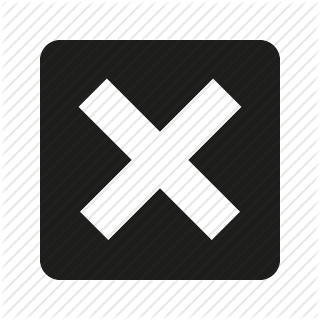 "This is the tip of the iceberg of a despicable business involving front companies in several countries," said Juan Manuel Santos, the president of Colombia, in an institutional statement on Thursday afternoon. The Police and the Attorney General's Office are investigating a corporate network of money laundering and illicit enrichment through criminal organizations. The Colombian authorities have complaints from companies that were being used to transport food between Mexico, Colombia and Venezuela. "There are more than 23 companies involved in nine countries in Latin America and Europe: 31 natural persons and 26 legal entities," said General Buitrago. At this moment, four international agencies, including Interpol, are collaborating in the operation. "Information has been requested from 46 bank accounts and, so far, $ 29 million has been moved in this network with companies that already had administrative sanctions," said the head of the Tax and Customs Police. "We believe that links of corruption can be established with authorities in several countries." "President Maduro, on behalf of the international community, on behalf of the Venezuelans who suffer every day, I urge you, I ask you, to allow the establishment of a humanitarian channel so that accredited, legitimate and transparent organizations can provide help and assistance to the Venezuelans who suffer from the scarcity and hunger that your regime has caused,” said Santos. The president recalled that a week ago, the Venezuelan armed forces raided a warehouse controlled by the CLAP in the Catia neighborhood in Caracas, where they recovered 140 tons of stolen food. It is known that Santos has played an active role in the continent while attacking the Venezuelan government and denouncing the crisis in the neighboring country. "We have knowledge by intelligence sources of a plan of the Maduro regime in operation since the end of last year to provide and transfer Colombian citizens to vote next Sunday, May 20," said Santos. The Colombian authorities have in their possession a plan that details the form, procedures and payments to citizens to vote for the Venezuelan president. "Maneuvers like this one is of the many reasons that ratify us in the decision not to recognize the results of those elections illegitimately convened by the National Constituent Assembly," said the Colombian president who has instructed the Colombian Public Force so that Border controls are reinforced. The chaotic situation does not have a foreseeable ending as Maduro and the main officials in Venezuela continue to insist that the main cause for the crisis came from the outside.